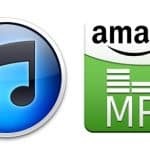 Do you have your music on iTunes or other digital download stores but are struggling to make sales? You’re not alone! Simply having your music on iTunes isn’t enough to make your music sell. To be honest, getting your music online is the easy part. There are many great services like CD Baby which will get your single or album on multiple digital download stores for a fee. Within a month you can record a song, upload it to iTunes, Amazon MP3, GooglePlay and more; as long as you’ve got the money. Now, while it’s important to have your songs on these stores and where fans can buy there, doing this alone isn’t going to get you any more recognition or increase your sales. While it gives you a platform to sell your music from, you still have to send people there and convince them your music is worth buying! The same is true whether you’re selling your songs on iTunes or your own website. Think about it, how many musicians do you think have their songs on iTunes? Or Napster? Or Spotify? There are literally millions of songs on each of these sites, many of which never makes a sale or gets played. By getting your music on iTunes you’ll still be competing with thousands upon thousands of other musicians in your genre to get seen. So now you know that getting your music online isn’t enough to start making sales, let me tell you how you can get started with this side of things. If you want to sell more music, you need to market those songs effectively. Making people want those songs. Both of the above work together. If people don’t know your songs exist, there is an 100% chance they won’t buy it (official figures 😉 ). They won’t even know it’s an option. Secondly, if people know your songs exist but you don’t make it look appealing, there’s a high chance they won’t buy it then either. So the aim is to let people know your music exists and then show them how having a copy will benefit their lives. To further break down that line, you’ll see I mentioned you need to market those songs effectively. The reason I highlighted the word effectively is because so many people market their music in ineffective and non helpful ways. Yes, posting a link to yours songs on Twitter 10 times a day does technically count as marketing. But will it get you more song sales? No, it’ll simply annoy your followers and make them unfollow you. Therefore, it’s not effective music marketing. In order to understand how to market your music effectively, you first need to get a better understanding of how music marketing and music promotion works. 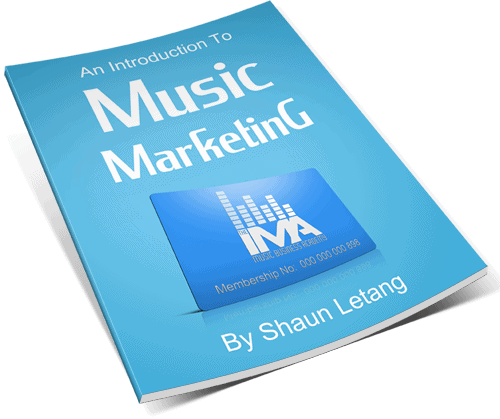 I’ve already outlined that well in the free Introduction To Music Marketing ebook which I email to people, so if want that you want that you can click the link I just mentioned. Once you’ve read that you’ll have a much better idea of how music marketing works as well as the importance of it. Furthermore, you’ll have a better understanding of how to approach it. Unfortunately, the majority of musicians get this wrong and never create the kind of exposure their music needs to get to the next level. Read the above mentioned free book? If so you’re ready to look at some specific ways you can raise awareness of your songs on iTunes / Google Play etc. How to get people to buy your songs. 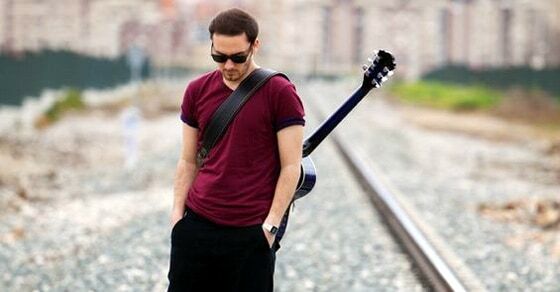 Music videos work much better than songs at getting music lovers to instantly like you. Having them see you makes it easier for them to be able to relate, and it’s easier to leave a lasting impression. This will make it more likely they search for you on their favorite online music shop (which also increases your chance of getting suggested on these stores). Getting your music video on established Youtube channels. There are channels out there with hundreds of thousands of subscribers that will be willing to upload your video to their channel. Other channels will even make the music video for you for a fee. Either way, you’ll instantly get your video in front of thousands of relevant visitors pretty fast. Getting your music on music channels. As well as the big ones like MTV, there are other music channels which accept submissions from non established musicians with a good video. You can also market your videos in other general ways such as social media etc, but the above two are the methods which will give your video the most reach fast. Getting people on your mailing list is one of the best way to communicate with new and existing fans. It allows you to talk with them over a longer period of time, building up trust and increase the likelihood they’ll buy your songs in future. No matter what other kind of marketing you’re doing, you should nearly always have it as your main aim to get new fans on to your mailing list. From there you can directly let them know about things happening with you and even sell to them. While it’s unlikely you’ll get your new song on a mainstream radio station without a lot of buzz, it is possible to get on internet radio, community and college radio stations, and even pirate radio if you choose that route. All of this raises awareness of you as you’ll usually have your songs played alongside others in your genre. When people hear it enough times, they’ll look more into you. It’s a good idea to build up a good relationship with Djs as this will increase the likelihood they’ll play your songs as they come out. If you want another way to get people to hear about your music, another option is to pay for those (genuine) views. Facebook and other sites allow you to advertise yourself in exchange for money. You either pay when people click your advert and go on to look at your website or offer. Or you can choose to pay based on how many times you advert gets seen. Paid advertising can take a while to master, but if you have the budget and want some instant eyes to your songs, this is an option. There are other ways to market your music, such as word of mouth marketing, manual social media marketing and more. I look at many of them around this site or go in-depth and give a set music business plan in The IMA Music Business Academy. 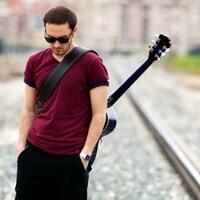 You need to have good quality songs first and foremost. If you market your music to your target audience but your music isn’t good enough, people won’t buy it. You need to have strong calls to action. As well as having your music on download stores, you need to have good copy-writing which will convince people to buy it. Include things like “download your copy now” and mention anything that makes your songs special. You need to have presented your offer enough time and given a good reason to buy. People will sometimes need convincing to buy even the best songs. Fans won’t usually hear a new musician one day and instantly buy their album. Usually, it’ll take a few goes of looking into them and hearing their songs before they buy. So make sure you’re getting in front of them on multiple occasions (if they’re on your email list or social sites this gets easier) and give them a good reason to buy. Services like CD Baby and Songcast are great for getting your music on iTunes, but once it’s on there it’s down to you to make those sales. You can only do this by learning how to market your music properly. Not sure how to promote and market your music? Then get our free music marketing ebook and turn that around today.